REPLAY is about the potentionality of expectation. The chasm between action and reaction, the generator of disappointment and satisfaction. 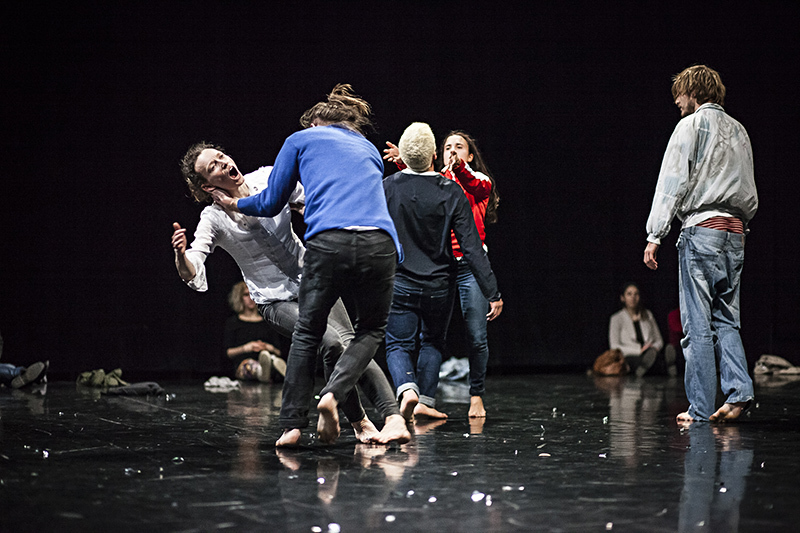 5 dancers move as if their bodies carry endless stories, mysterious events and traumas. Together they solve puzzles, unlock riddles and break spells. 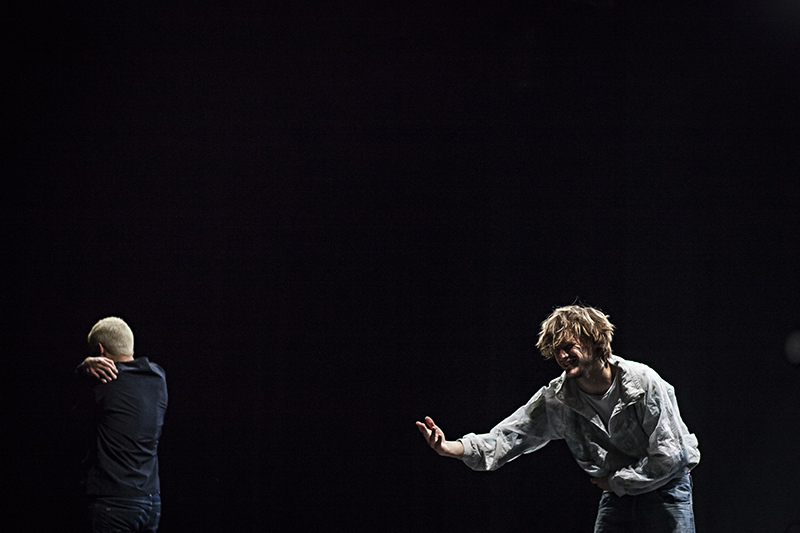 After 10 years living in Europe, the Brazilian choreographer Renan Martins takes a step back to look at the European stereotypes on Latin culture. 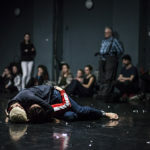 He works with the passionate, colourful, overdramatic reactive aspect of these stereotypes to create a performance where meaning is not overly important, as much as the fact that every action means something. 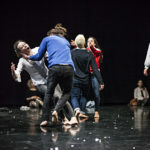 Together with ME-SA collective and light designer Katarina Duricova, they create a space that is equal parts tragic and comic, romantic and dry, absurd and narrative. 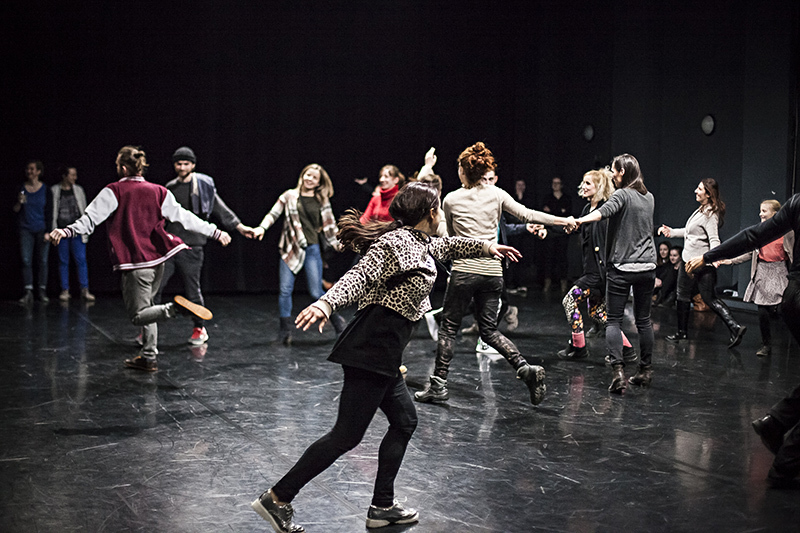 REPLAY is the second cooperation between Renan Martins and the Czech collective ME-SA. Their first work Let Me Die In My Footsteps joined Aerowaves network as one of the top 20 works in 2016. 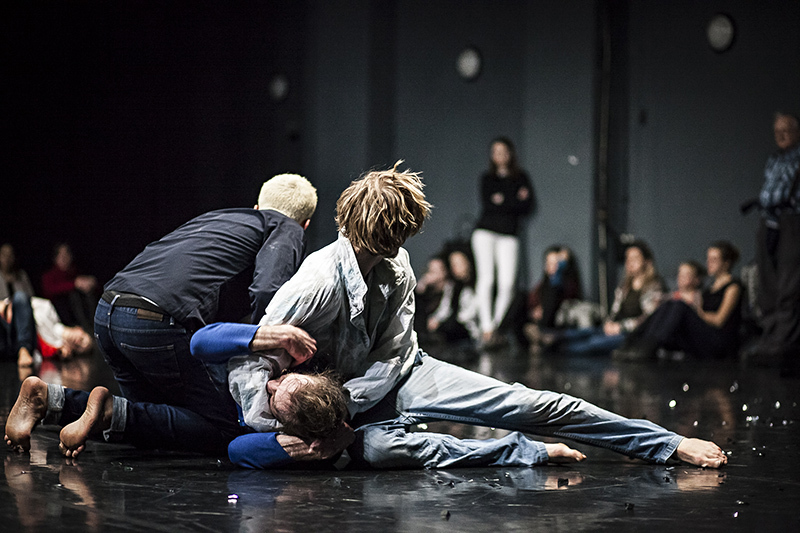 A production by ME-SA and danceWATCH in coproduction with LOFFT – Das Theater and Tanec Praha / PONEC – dance venue. 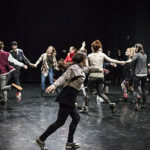 Supported by City of Leipzig Cultural Affairs Office, Saxon State Ministry for Higher Education, Research and the Arts, and Culture Foundation of the Free State of Saxony within the frame of Dance Transit festival. 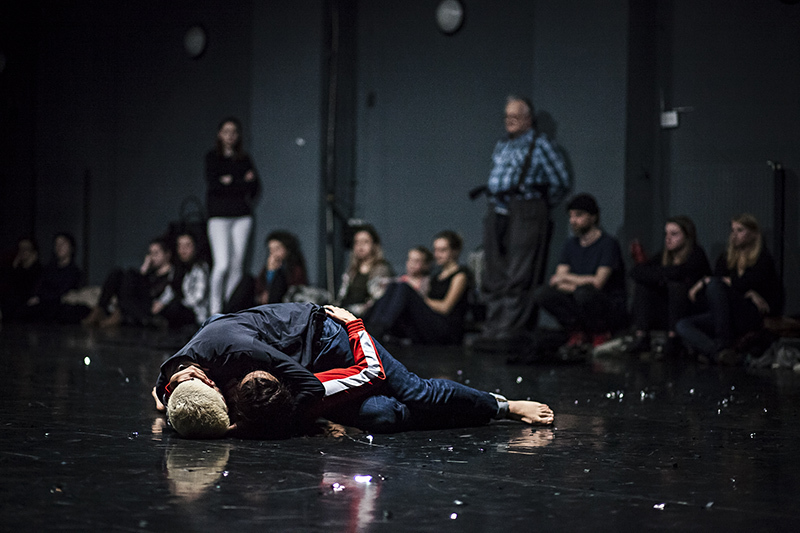 Renan Martins started his education in Rio de Janeiro at Deborah Colker Movement Center at the age of 16, and one year later won a full scholarship to study at SEAD in Salzburg, Austria. In 2010 he joined P.A.R.T.S. 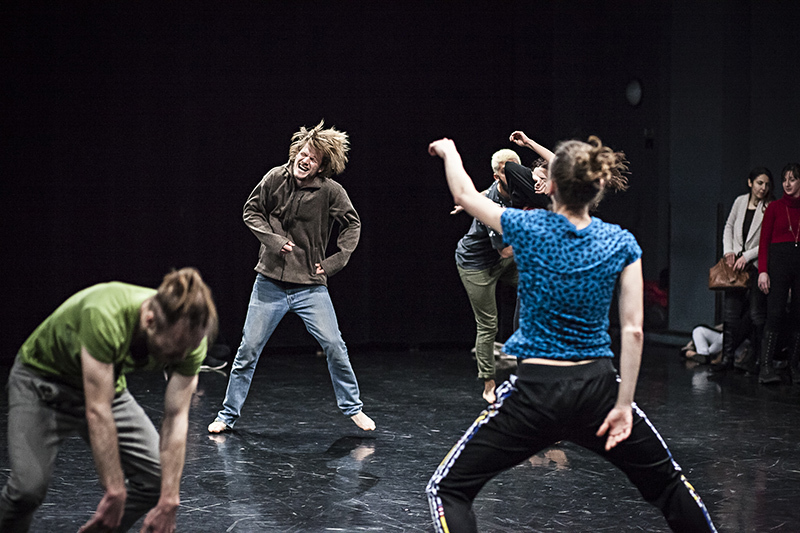 (Performing Arts Research and Training Studios) to be part of the Research Cycle where he focused more intensively on choreography and started developing his own work. 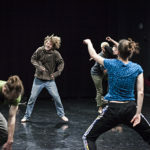 He has performed his pieces in different venues in Brazil, Austria, Slovenia, Germany, Holland, Portugal, Russia, Belgium, Croatia, France, Czech Republic and Slovakia. 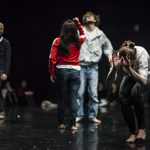 Along with his choreographic practice he has also been a performer for Iztok Kovac, Marysia Stoklosa, Pierre Droulers, Anne Teresa de Keersmaeker, Alexandra Waeirstall and Meg Stuart. 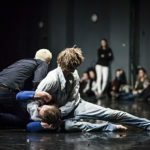 He has been an active teacher in the last couple of years giving workshops and master classes at Signsix, DansCentrumJette, PARTS Summer School and Cie Thor Studio in Brussels, SIBA in Salzburg, Theatre de La Bastille in Paris, Codarts in Rotterdam, Munich’s University of Drama, ME-SA in Prague, DOCH in Stockholm and Artesis/Conservatory of Antwerp where he has also been a jury member of the committee. Renan was a member of SeventySeven vzw for two years together with other artists such as Les Slovaks, Anton Lachky, Moya Michael, Meytal Blanaru and Peter Jasko, where his work was represented. 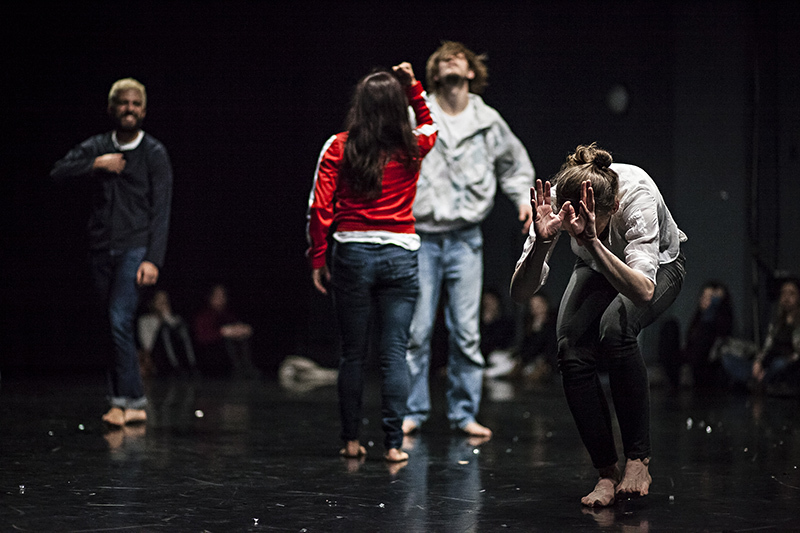 This year Renan joins Aerowaves as one of the top 20 promising choreographers for 2016 with the piece Let Me Die In My Footsteps.